Or, get it for 41600 Kobo Super Points! In 1994, W. Richard Stevens and Addison-Wesley published a networking classic: TCP/IP Illustrated. The model for that book was a brilliant, unfettered approach to networking concepts that has proven itself over time to be popular with readers of beginning to intermediate networking knowledge. The Illustrated Network takes this time-honored approach and modernizes it by creating not only a much larger and more complicated network, but also by incorporating all the networking advancements that have taken place since the mid-1990s, which are many. This book takes the popular Stevens approach and modernizes it, employing 2008 equipment, operating systems, and router vendors. It presents an ?illustrated? explanation of how TCP/IP works with consistent examples from a real, working network configuration that includes servers, routers, and workstations. Diagnostic traces allow the reader to follow the discussion with unprecedented clarity and precision. True to the title of the book, there are 330+ diagrams and screen shots, as well as topology diagrams and a unique repeating chapter opening diagram. Illustrations are also used as end-of-chapter questions. A complete and modern network was assembled to write this book, with all the material coming from real objects connected and running on the network, not assumptions. Presents a real world networking scenario the way the reader sees them in a device-agnostic world. Doesn't preach one platform or the other. New Modern Approach to Popular Topic Adopts the popular Stevens approach and modernizes it, giving the reader insights into the most up-to-date network equipment, operating systems, and router vendors. 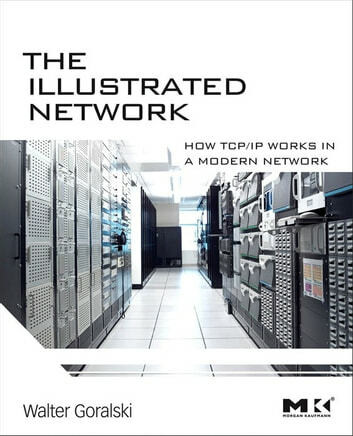 Shows and Tells Presents an illustrated explanation of how TCP/IP works with consistent examples from a real, working network configuration that includes servers, routers, and workstations, allowing the reader to follow the discussion with unprecedented clarity and precision. Based on Actual Networks A complete and modern network was assembled to write this book, with all the material coming from real objects connected and running on the network, bringing the real world, not theory, into sharp focus.